Etude House AC Clinic — A skin care line which has been my skin savior. Check out "My Acne story" to find out why I say that. Guess what? 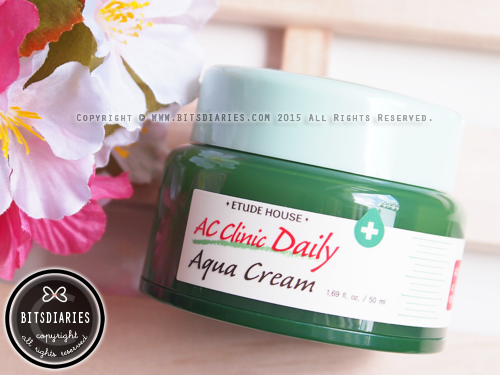 Recently, Etude House has added a new product to the AC Clinic line called the "Aqua Cream"! Formulated with Salicylic Acid which helps to calm down the inflammation, and enriched with Hinoki Cypress extract that reportedly inhibits the growth of acne-causing bacteria, this cream provides soothing and long-lasting moisture to dry and exhausted skin while addressing acne concerns. What's more, it is oil-free and non-comedogenic and is clinically tested that non of the content contained in this product would cause skin irritation or worsening the condition of the skin. It comes in a plastic jar with a plastic twist off cap and a spatula (as shown in the first picture). 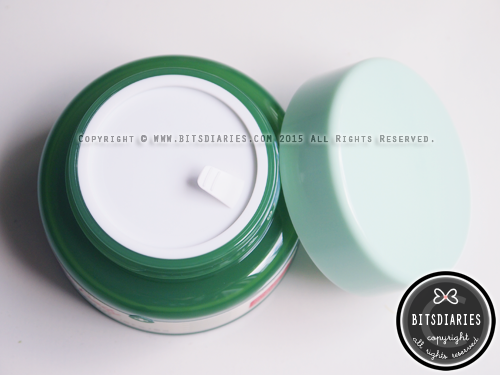 The opening is not sealed but there is a protective lid covering the cream. The cream has a medicated, herbal scent and it has a clear, gel-ish texture that is similar to an aloe gel or a sleeping mask/pack. It may look heavy but in fact, it is lightweight and watery that gets absorbed into the skin in a few minutes after application. It does leave a mild sticky residue but it is not greasy. 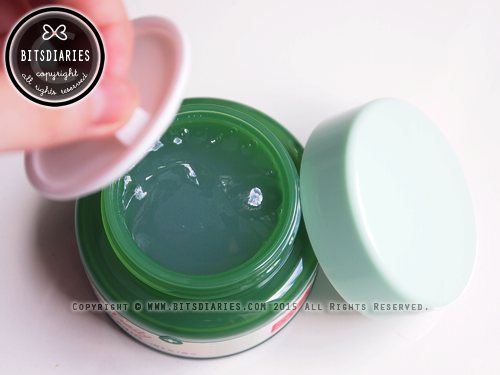 Usage: The Etude House AC Clinic Daily Aqua Cream is designed for day and night use. Gently apply a pea-sized amount of cream all over the face after toner and gel lotion. 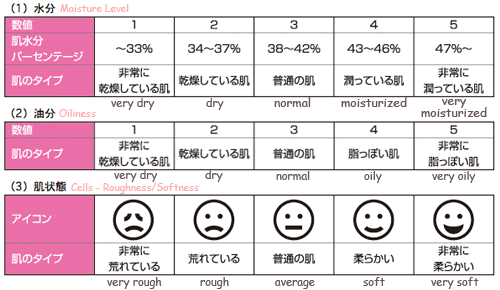 The standard value of cells (roughness/softness) is soft - happy face. 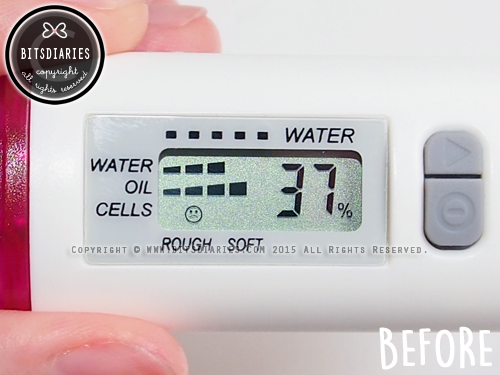 Skin's moisture increased from 3 bars to 5 bars; from 37% to 49%. No increase in Oiliness; it remained at 4 bars and it's normal because I have oily skin. Skin's cells (.aka. skin texture) became very soft! 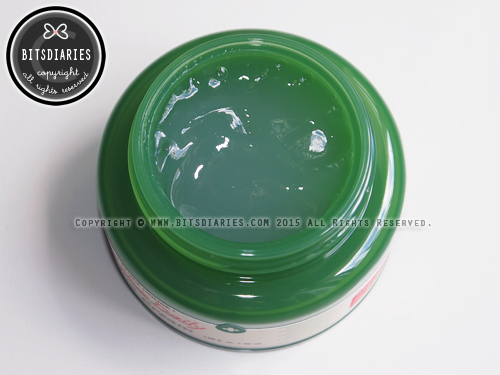 After applying the cream on my face, I felt a mild cooling sensation that was refreshing and soothing. I can literally feel it quench my skin's thirst, leaving my skin deeply hydrated from the inside out. Also, it didn't irritate my skin or cause any breakouts and it is not greasy at all! FYI, I like to use this cream together with the gel lotion at night, as I sleep in an air-conditioned room. I find this cream gives an extra boost in hydration keeping my skin moisturized throughout the night, in the cold and dry environment. In my opinion, it acts almost like a sleeping mask/pack, but this gets absorbed into the skin and is less sticky. Plus, this is specifically made for acne skin which is awesome! 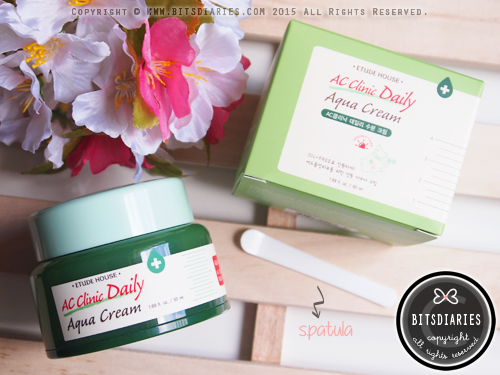 Now Etude House AC Clinic Daily Aqua Cream has become a stable in my daily skin care routine and I highly recommend to give this a try! Hello, is this cream meant to use only at night? Do you think its fine if i use this at day time as a moisturizer before applying bbcream? This cream is designed for day and night use, but I prefer to use it only at night. In my opinion, it is fine to wear under makeup if you use a thin layer. 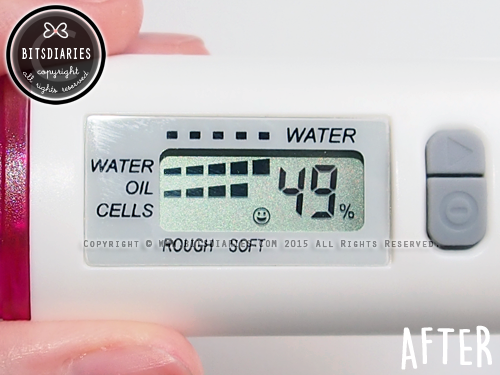 Hi Ashley, where can I get the gadget that you use for the moisture + oil test ?